Stand Up Paddle Boarding is an off shot of traditional surfing which originated in Hawaii. A fairly new sport that has blossomed over the last few years, which has seen the sport diverge from the sea to the river. There is even people doing Stand Up Paddle Board yoga!! 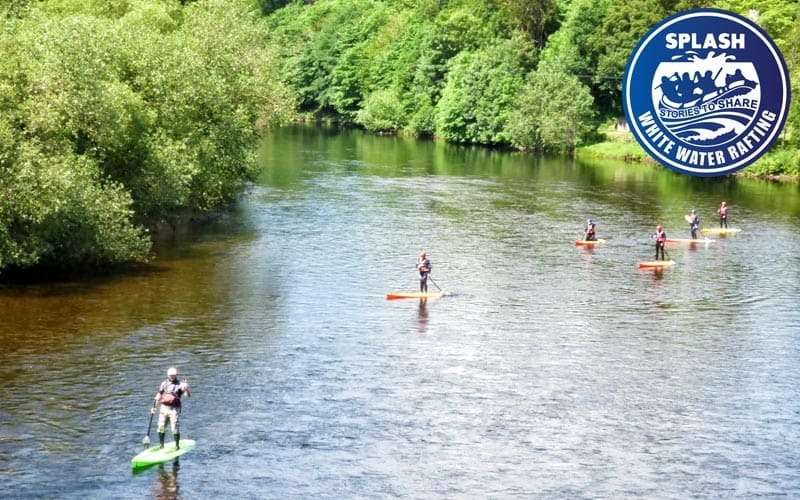 We have a full fleet of boards and ready to take you down the river on a SUP (Stand Up Paddle Board). The paddle board which resembles a surfboard is large enough and wide enough to allow you to stand up and balance with relevant ease. Propelling yourself down the river using your paddle, this is probably the most relaxing and exciting way to see the river. 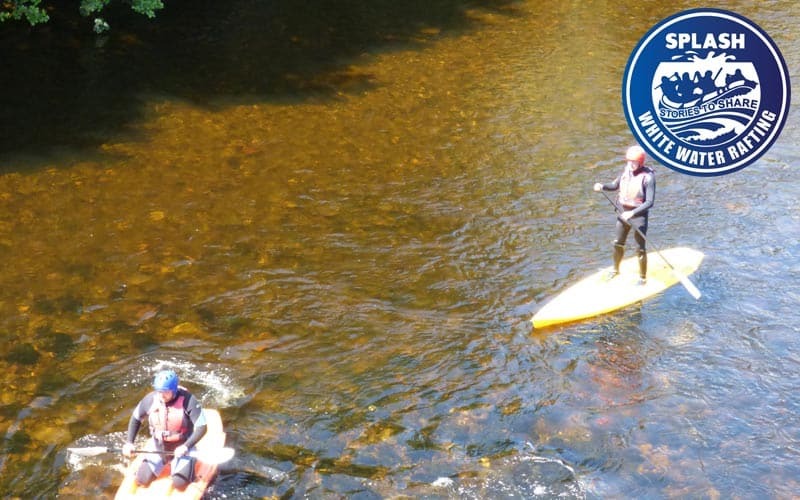 Our Guides will brief you in every aspect of mastering the SUP for a safe, fun and enjoyable trip. 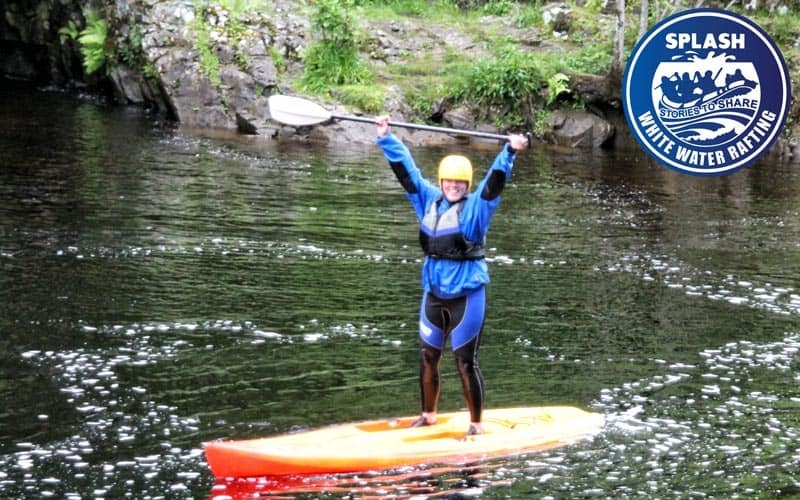 Combine your Stand Up Paddle Boarding with another Splash activity and save! Why not try out rafting , river bugs or river duckies? 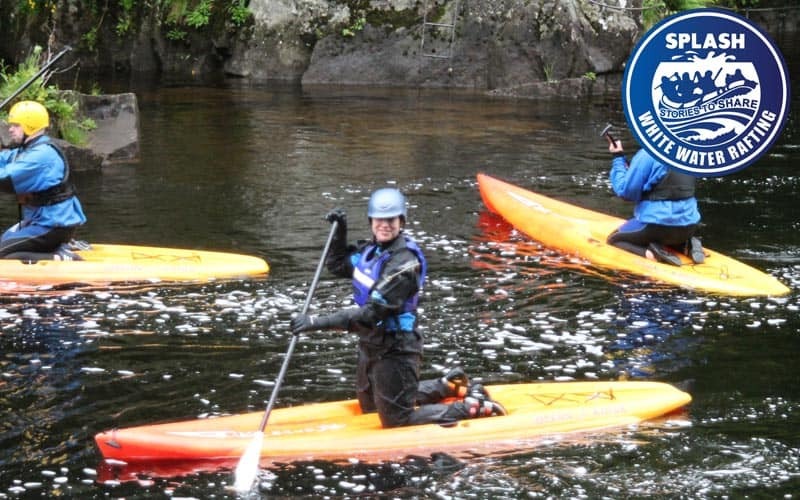 A full day of adventure on the river and plus an another activity cost from just £85 per person – guaranteed excitement and exhilaration suitable for the whole family! I was given a voucher for stand-up paddle boarding as a gift, and was a bit sceptical. Turned out to be a lot of fun for us both, and despite my extreme unfitness and inability to actually stand up, our guide Aivers was superb. He was very patient with me, whilst still challenging my husband. A great teacher and would definitely try something with this company again. On every Stand Up Paddle Boarding trip we include all equipment required plus a professional experienced guide per raft combined with an overall trip leader in charge of the trip. A logistics manager on land who is also a very experienced guide. 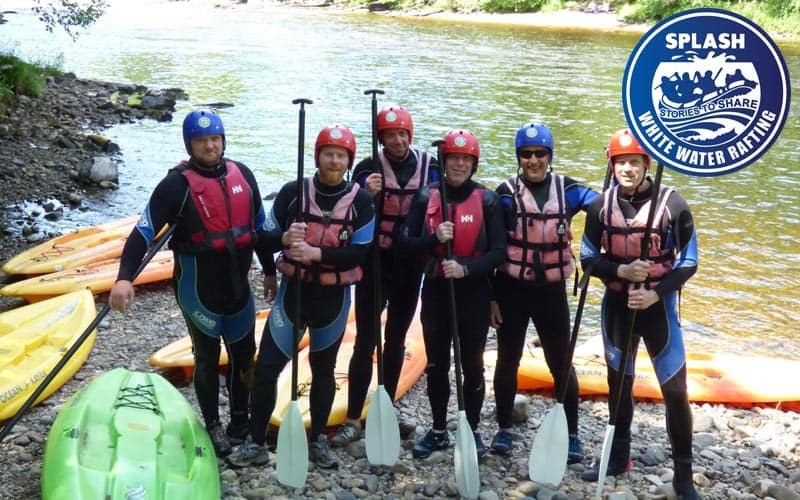 All equipment required which includes over £150 worth of wetsuits, helmets, lifejackets and paddles. Transport from our base on and off the river by a professional bus company. You will be provided with everything you need to Stand Up Paddle Boarding safely. However we do ask you to bring an old pair of shoes to wear on the river (These will get wet), and your swimwear for underneath your wetsuit. Optional – a non-cotton T-shirt (synthetic materials are best ) for under your wetsuit. Depending on the time of the year warm clothing for before and after your trip. Raft between the waypoints on the map below. Aberfeldy to Grandtully.